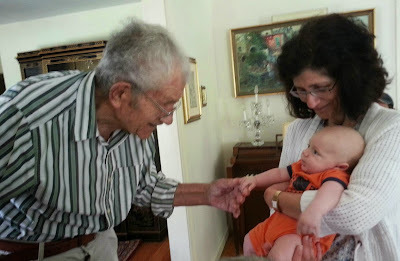 For Memorial Day, it's worth sharing this picture of Dash at 11 weeks meeting his then-92 year old great grandfather who served in World War II. First drafted into the Axis side for Italy, he later served on American U-Boats during the war out of Portland. I'm always glad he got to meet Dash before he passed away last fall.